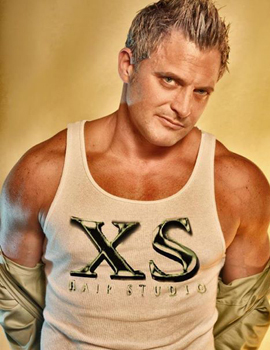 Click on a Washington DC performer to learn more about him and book a reservation. Welcome to DC Male Strippers by MaleStrippers.com – your #1 source for the finest in male strippers and exotic dancers! We have over 10 years of experience providing the highest quality entertainment to thousands of parties and events across the country. Our dancers are the hottest, most talented, most reliable and most qualified around – we hire only the best to give YOU the best! Our accomplished dancers have been featured in everything from print to television! Some of our dancers have appeared in Playgirl, modeled for national clothing companies, traveled extensively with the Chippendales and other male revue shows, graced the covers of romance novels, participated in fitness competitions, performed for big name celebrities and even appeared on TV shows such as Bad Girls Club and Wedding Fabulous: Sherri Shepherd Gets Married! 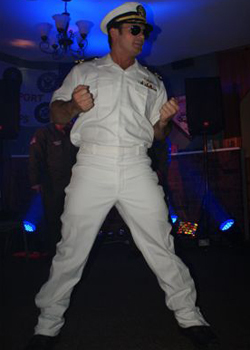 Whether you’re throwing a bachelorette party, birthday party, company function, a girls night out or even looking to hire our company for a male revue show in your club or venue, we’re sure to have the perfect entertainer for you! If you’re looking for a company with the credentials and proven reliability to make your party a total success, look no further than MaleStrippers.com! You won’t find another company that even compares with us! Washington DC, Baltimore, Aberdeen Proving Ground, Alexandria, Annapolis, Arlington, Ashburn, Bel Air, Brooklyn, Carney, Catonsville, Centreville, Chantilly, Clifton East End, Cockeysville, Cockeysville Hunt Valley, Columbia, Cooksville, Culpeper, Dulles, Dumfries, Dundalk, Elkridge, Essex, Ellicot City, Fairfax, Falls Church, Glen Burnie, Harrisonburg, Herndon, Locheam, Manassas, Mc Lean, Middle River, Parkville, Pikesville, Reston, South Gate, Springfield, Sterling, Towson, Vienna, Winchester, Woodbridge, Woodlawn. Not in Washington DC? We'll come to you! With locations across the USA we'll find the right match for your event!